I have struggled finding a great coconut oil pie crust, the first try I just subsituted the oil for shortning with no luck. 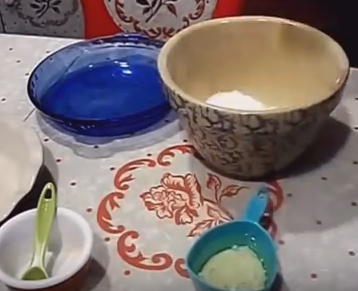 Combine dry ingredients by mixing flour and salt in large mixing bowl with a fork. Combine wet ingredients by pouring cold milk into bowl containing liquified coconut oil and slightly stir with a whisk. Pour liquid ingrediants into dry ingrediants and mix for 1 minute with a fork into a dough ball. If needed adding 1 teaspoon milk if too dry or 1 teaspoon of flour if too wet. Smooth into large disk and allow disk to rest for 15 minutes before proceeding. Transfer disk from mixing bowl roll flat between 2 pieces of parchment or wax paper or large gallon sized zipoc bag split open. Handy tip … roll out round and gently remove top sheet or paper and then replace paper but replace using the dry side of the parchment and flip into pan making sure to place in the corners and not stretching the raw crust. 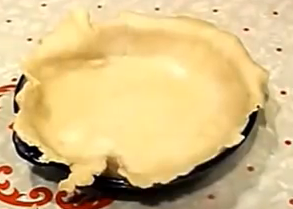 5) Gather pastry into a ball and divide roughly into halves. 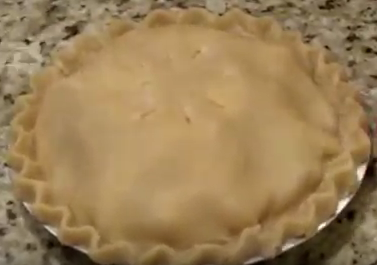 Read about using a cornstarch disk for perfect crust from milk street but have yet to try.